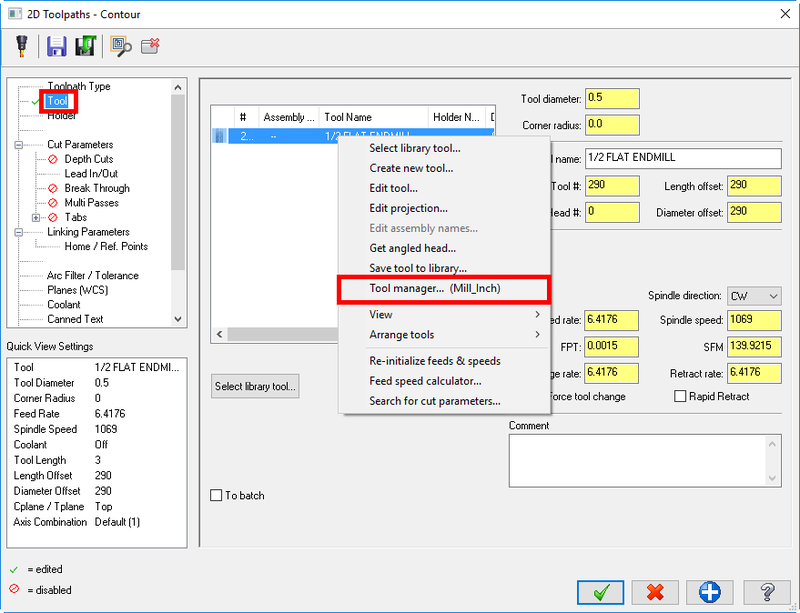 Mill tools created in an operation will not automatically save to the library. Below are two options for saving them to a library. 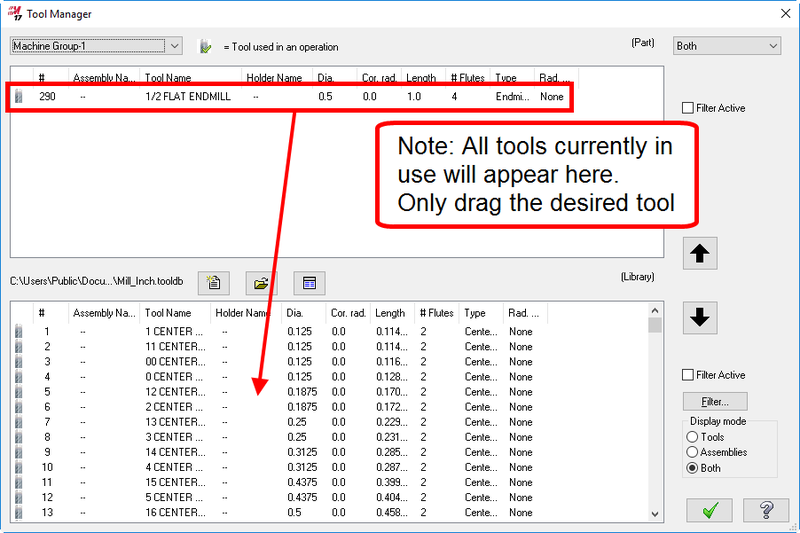 Within toolpath parameters, right click over the tool. 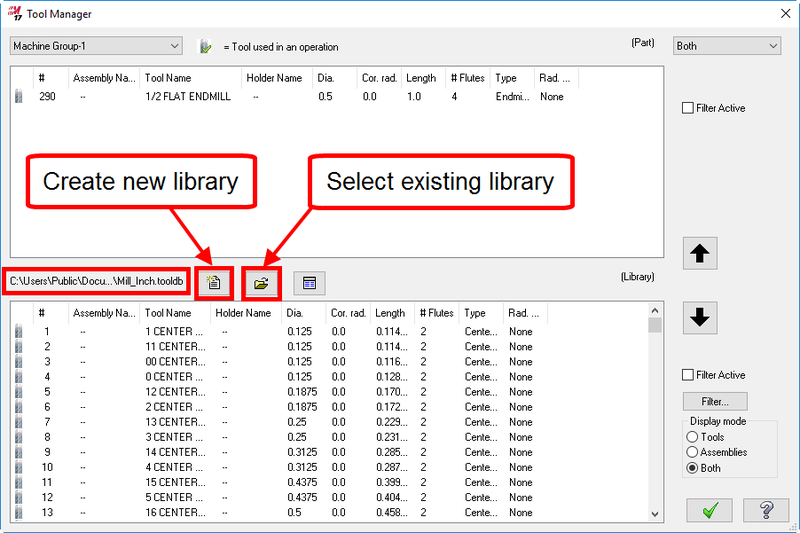 Confirm the correct tool library is selected. Drag the tool into the library. It will then prompt to save.